From Queens, NYC, Sho-Tyme has brought himself from street way of living to stepping on countless stages, videos, tours with many of the top Artist in the industry with allowing God and dance to change his life completely. Sho-Tyme’s versatility as a dancer/ choreographer along with his creativity and extensive knowledge of Hip Hop, and other Street Dance styles have enabled him to choreograph for many top artists as well as judging major battles and events in the industry and street dance world. Aaliyah, Jay Z, Mary J Blige, P Diddy, Shakira, Busta Ryhmes, JLo , Sean Desmond, Mya, TLC, Christina Milian , Kelly Rowland, Katy Perry, Gnarles Barkley to name a few. Sho-Tyme is also the genius behind the Choreography for Gwen Stefani and her Harajuku Girls. Battles judged: Battle Grounds in Australia, Juste Debout Tour, UDS Fest in Ukraine, Hip Hop International Russia and Vegas, KOD/Showdown LA to name a few. TV Shows: Dancing With The Stars, Dirty Dancing, So You Think You Can Dance Canada’ seasons 1-4 as the Hip Hop and House Choreographer. Movies include You Got Served, Stomp The Yard, Dance Flick as well as the Choreographer and Co-Star of the film ‘You Got Served/Beat The World’. 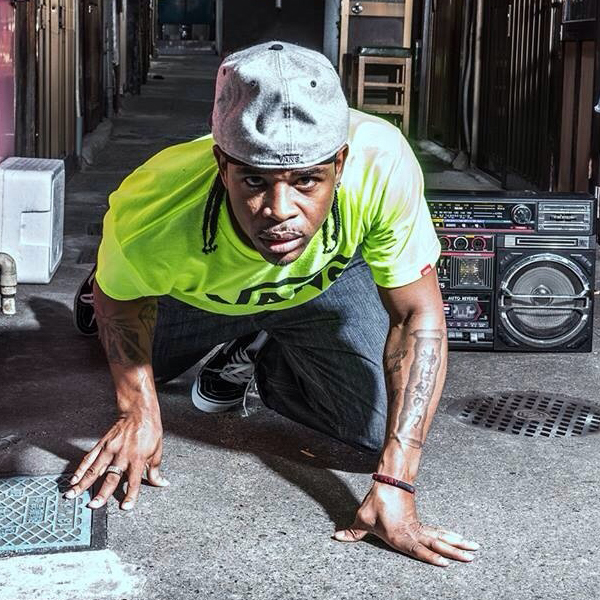 His love for dance doesn’t stop there, he also formed together an all female crew called Stylz Play. 6 girls from different parts of world Japan, Spain, Italy and USA. The intense hard training, teaching and love for dance has brought them to grow more as dancers who love the dance! They have won battles such as KOD/Showdown La, KOD finals in China, Juste Debout NY, VersaStyle’s Let the Music Move You in La to name a few. With all these things he still maintain one of the biggest classes at the famous Millennium Dance Complex in LA. Teaching Hip Hop Grooves and House 3 days a week. Sho-Tyme’s passion is to continue teaching an educating around the world to the now and new generation of dancers, that dance is from the heart and should be first done with love and passion not for an industry goal. He promises that anyone who dance from the heart will see the fun, joy and true essence in it. Through this you can learn how to GROW inside the dance, become ONE with the dance and find that CONNECTION with the MUSIC which allows us to become CREATIVE with the dance. Don’t just do it, LIVE it! !